Where has the summer gone? It's almost time to go back to school and we are getting ready. 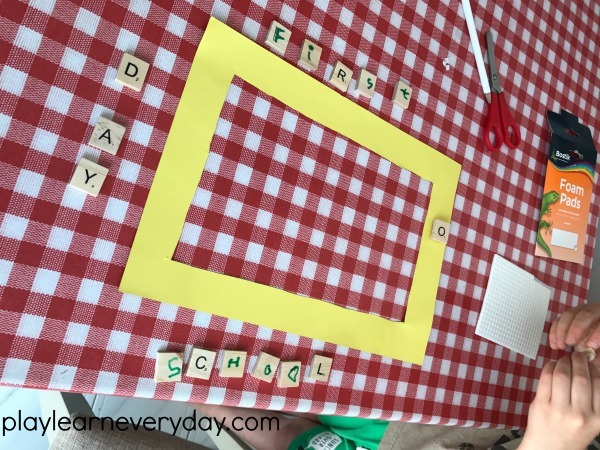 We're just back from holiday and looking for some easy and fun crafts to do for back to school, so this was just perfect for us today! The first step is to cut a whole in the card to make it look like a frame. 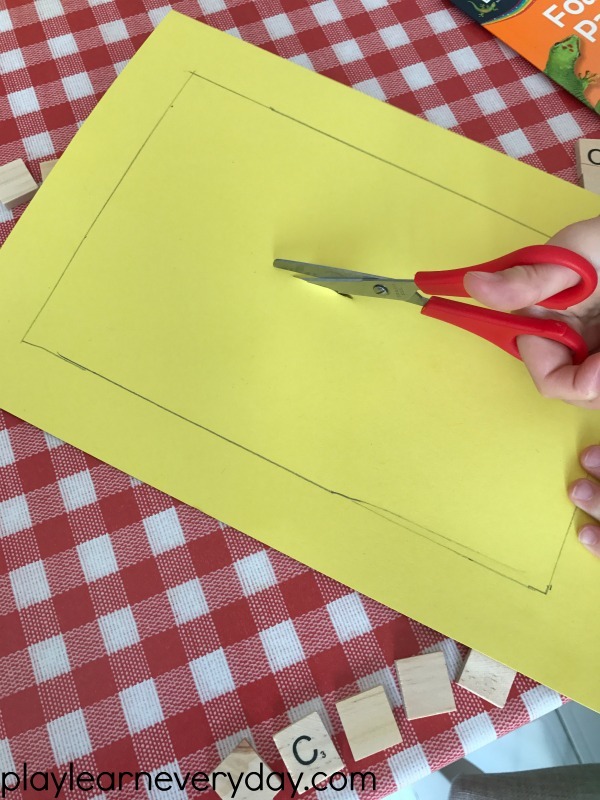 We measured 4 centimetres around each side then drew lines and cut out the middle. 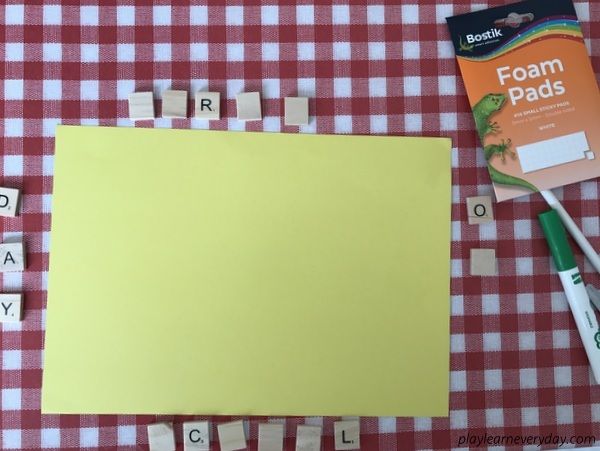 Next we collected the Scrabble tiles that we needed, we were sent a selection of craft materials from Bostik, so we didn't have the exact letters that we needed. So we decided to turn a few tiles over and Ethan wrote the letters on them that we needed instead, which I think makes it extra special. 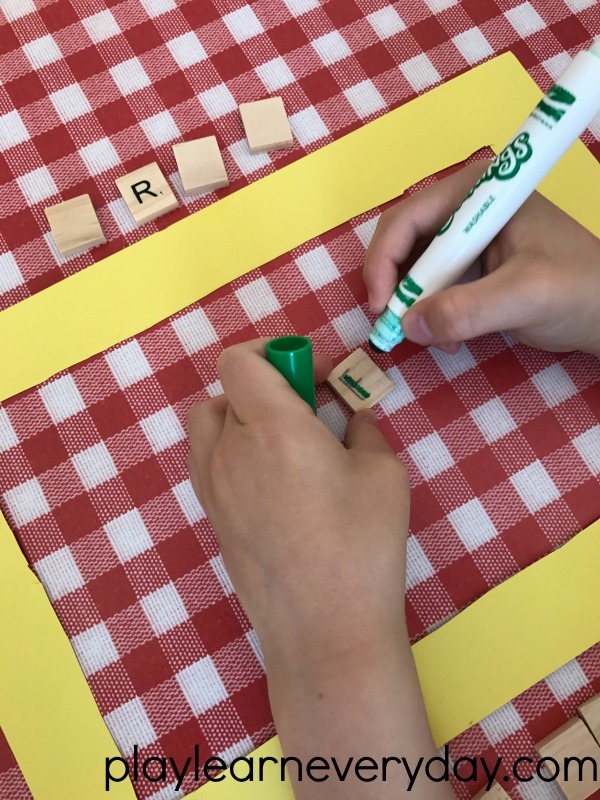 Ethan then stuck the tiles on using the Bostik foam pads (which we love because they don't need to be cut up and there's no need to wait for anything to dry). At this point the frame can be decorated further with other bits stuck on or coloured, but Ethan wanted to leave it as it was. 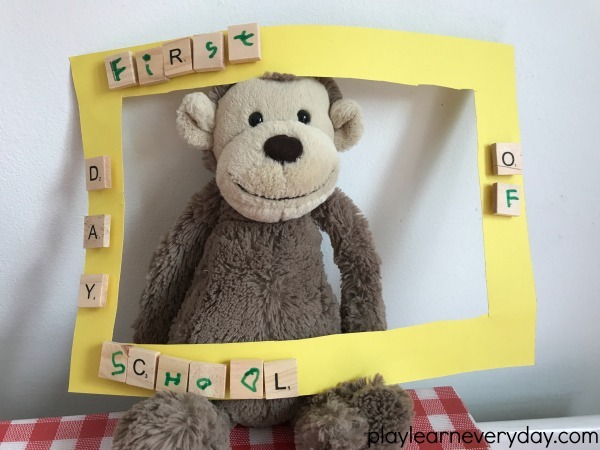 Now Ethan's got the perfect little frame to hold as a photo prop for the first day of school, and then we can print out a photo to put inside it after that.